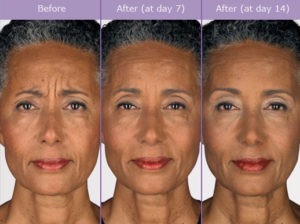 Botox is globally recognized as the most popular injectable anti-aging treatment for the face. Women and men who are keen to achieve reduction of facial lines and wrinkles without cosmetic surgery may consider Botox as a proven and effective non-surgical solution. The FDA gave its approval for Botox in 2002 for the aesthetic reduction of frown lines, and further approved Botox in 2013 for the treatment of crow’s feet. Leading facial plastic and reconstructive surgeon Dr. Eric Yavrouian provides Botox and various other surgical and non-surgical treatments. Dr. Yavrouian receives patients from Glendale, Pasadena, Burbank, Greater Los Angeles CA, and surrounding areas. Botox treatment is based on botulinum toxin, which is recognized as one of the most potent biological substances with potentially severe side effects if used incorrectly. Due to the extreme power of this neurotoxin, which can paralyze muscles instantly, Botox treatment must be administered only by a certified and trained injector. Millions of patients who wish to avoid cosmetic surgery in the US benefit every year from Botox, but safe and predictable outcomes are assured only when the treatment is received from a recognized Botox expert. 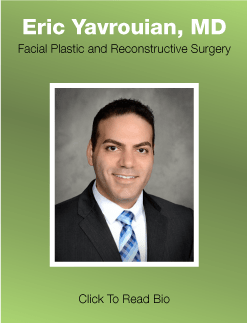 Dr. Yavrouian is an experienced facial plastic and reconstructive surgeon providing Botox and other treatments with outstanding results for patients in Glendale, Pasadena, Burbank, Greater Los Angeles CA, and nearby areas. FDA requires that Botox labels should carry a warning stating that the effects of botulinum toxin have the potential to spread to other areas away from the injection site, which may cause botulism symptoms. However, the FDA also reassures patients at the same time that a confirmed case of such serious nature has not occurred when Botox treatment is administered by a qualified injector in recommended doses. The warning essentially highlights the vital need to ensure that the Botox treatment should only be received from a provider with established credentials and experience. Dr. Michael Edwards, the President of the American Society for Aesthetic Plastic Surgery (ASAPS), says that individuals who may receive Botox treatment from an unqualified provider run the risk of developing conditions such as drooping eyebrows or one or both sides. The treatment can worsen the facial appearance instead of improving it, if it is wrongly administered. If Botox medication is injected too close to the mid brow, it may lead to ptosis, which is a sagging or lazy eyelid condition. According to Dr. Edwards, doctors who are trained in administering Botox should also have an in-depth knowledge of facial anatomy and the potential action of the treatment being administered. ASAPS members have received thorough training about facial anatomy. Patients can feel more confident when they seek Botox treatment from a plastic surgeon trained in face and neck surgery. Dr. Edwards advises that patients should check the Botox provider’s background and preferably seek treatment from a trained and credentialed plastic surgeon. Every patient should realize that they have only one face, and they ought to make rational and knowledgeable choices for their own safety.